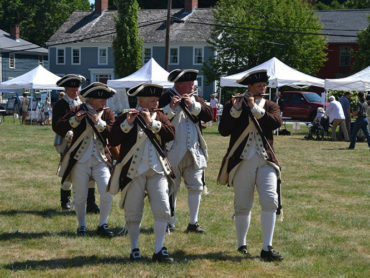 History Day on the Norwichtown Green will return September 2020 bigger and better than before! 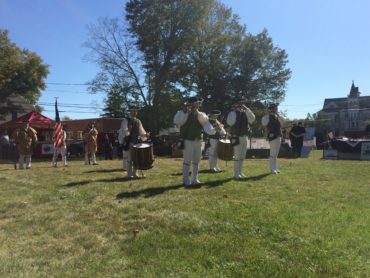 The Third Annual “History Day” will take place on the Norwichtown Green on Sunday September 30, 2018 from 10:00am – 3:00pm in coordination with the Last Green Valley’s Walktober. The goal is to build awareness of Eastern, Connecticut’s rich heritage and cultural assets. In addition, we will be honoring Samuel Huntington, Norwich’s signer of the Declaration of Independence, in a special wreath laying ceremony commemorating the day he was elected President of the Continental Congress on September 28, 1779. Special thank you to: McKenna’s Flower Shop, the Greater Norwich Area Chamber of Commerce, The CT Chapter of the Sons of the American Revolution, and the Norwich Rotary Community Corp.